Family dynamics are evolving in America, which means that traditional two-parent families are not always the norm in today’s society. In the rapidly changing demographics of non-nuclear families, an increasing number of custody and visitation cases in Virginia involve claims by non-parents seeking to preserve or extend their relationships with children. Third party custody or visitation claimants may be any “persons with a legitimate interest” in a child; and it is quite common for such claims to be filed by grandparents, aunts, uncles, siblings, distant family members, stepparents, former stepparents, or family friends. Because of the commonality of such non-parent claims, it is imperative to understand the applicable legal standards in Virginia before participating in a custody or visitation dispute, whether as the non-parent petitioner or the parent opposing a claim. Understanding the legal standards applicable to parental custody and visitation claims provides a useful grounding for evaluating the unique challenges of third-party disputes. Custody and visitation disputes between parents require use of the “best interest standard.” In an initial custody or visitation determination, the parents stand on equal footing before the court. Because they are considered “equals” legally, the court must determine what arrangement is in the child’s best interest. Modification of an existing custody or visitation order between parents involves broader considerations, but is still premised on “best interest” considerations. The court must apply a two-pronged test, asking: 1) Has there been a material change in circumstances since the most recent custody or visitation order? and, if so, 2) What is the appropriate custody or visitation arrangement, based on the “best interest” factors? While custody and visitation disputes between parents can be emotionally charged and protracted, the controlling “best interest” standards are reasonably fixed and widely understood. Introducing third parties as custody or visitation claimants, by contrast, may invoke more complex and varied legal standards before “best interest” considerations even come into play. In a child custody dispute between a parent and a non-parent, there is a legal presumption, set forth by the Virginia Supreme Court in the 1954 ruling in Bailes v. Sours, that a child’s best interests are served when the child is in the custody of his/her natural parent. Therefore, non-parents seeking custody must first rebut the legal presumption favoring parents in custody arrangements. In order to do this, the initial burden is on the non-parent to introduce clear and convincing evidence to establish an extraordinary reason for depriving a parent of custody. special facts and circumstances constituting an extraordinary reason for taking a child from its parent or parents. Only after the presumption favoring parental custody is rebutted through convincing evidence establishing at least one of these factors do parents and non-parents stand equally before the court in a custody dispute. Then the court must consider the best interests of the child in order to make a valid custody determination. A similar two-stage process is involved when Virginia courts consider the comparative rights of parents and third parties in most visitation disputes. The Virginia Supreme Court’s 1998 ruling in Williams v. Williams held that, before visitation by third parties can be ordered over the objection of a child’s parents, a court must find actual harm to the child’s health or welfare without the visitation. Consideration of the child’s best interests in establishing a visitation arrangement occurs only after a court finds clear and convincing evidence that actual harm to the child would occur if third party visitation were to be denied. The Williams actual harm standard applies when both parents are unified in their opposition to a third party visitation claim. In circumstances where one parent consents to the third party visitation, however, the burden on the party seeking visitation is reduced and the third party is only required to establish by clear and convincing evidence that the child’s best interests will be served by a court award of visitation rights. In the 1999 case of Dotson v. Hylton, for example, the Virginia Court of Appeals ruled that when only one parent objected to grandparents’ visitation and the other parent requested it, the grandparents were not required to establish actual harm, and instead only needed to introduce clear and convincing evidence that visitation will be consistent with their grandchild’s best interests. The complexities of differing legal standards in various third-party custody and visitation circumstances have been known to confuse attorneys, and courts themselves have improperly conflated the applicable standards in some instances. 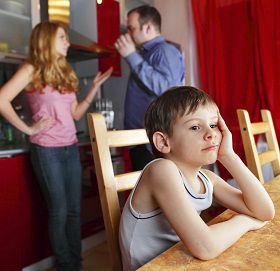 Therefore, if you are faced with a third party visitation or custody dispute, it is important to obtain legal counsel and representation from a highly experienced family law attorney. Also, the success of third party claims may be dependent on introduction of expert testimony to establish such factors as extraordinary reasons for removing a child from parental custody or actual harm resulting from denial of visitation. Only legal practitioners seasoned in such family law proceedings will be able to procure and direct the use of expert evidence to effectively support your claim.